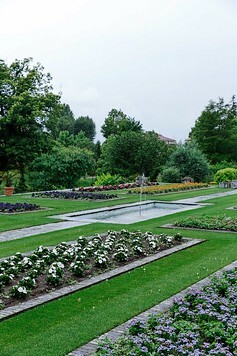 Is Villa Taranto Italy's Prettiest Garden? 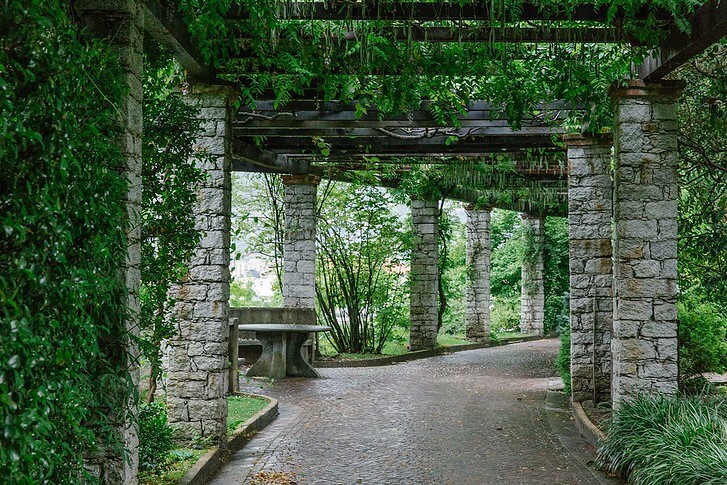 Is Villa Taranto Italy’s Prettiest Garden? 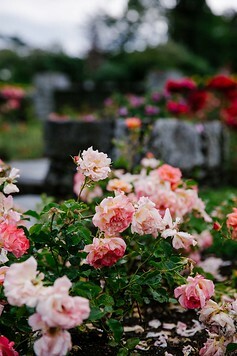 Maybe it’s because there’s not much green in the concrete jungle of New York, but whenever I travel and walk by a garden, I usually stop to explore. On our trip to Northern Italy, we were driving from Milan to Lake Maggiore when we stopped by Villa Taranto to stretch our legs on a quick pit stop. It ended up being such a nice place to visit that I thought I’d share some photos and background in today’s post. 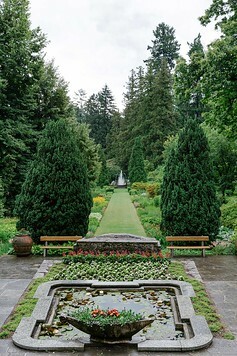 Here’s a look at the gardens of Villa Taranto in Lake Maggiore, Italy. 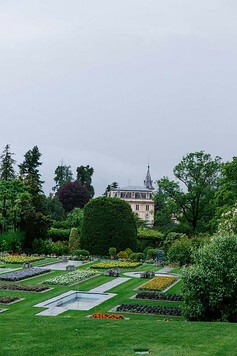 As I mentioned in my previous post about the different Italian Lakes, Lake Maggiore is known for its pretty gardens. 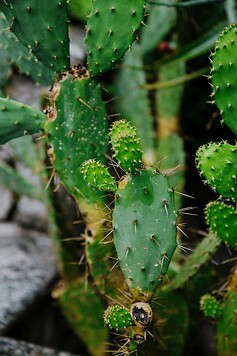 The climate here allows even rare plant species to survive and as a result, travelers can find famous garden villas at both Stresa (Isola Bella) and Verbania (Taranto). How do all the gardens compare? Well, speaking as someone with a black thumb, I felt like Isola Bella had the biggest ‘wow’ factor. 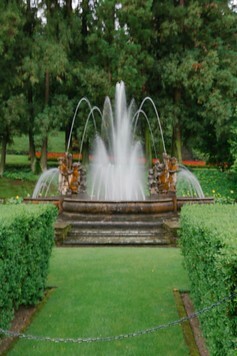 It has a gorgeous palace and very sculpted gardens, with architecturally magnificent terraces and white peacocks. The gardens themselves aren’t that large. Isola Madre is a smaller version of Isola Bella. Meanwhile, Villa Taranto boasts the largest garden. 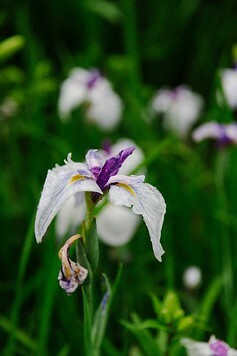 It’s a large property and has the most diverse plants and flowers. I’d say Taranto is for the true garden lovers, who appreciate exotic species. If you have the time, they are all different enough to worth a visit! If you visit Villa Taranto in spring (the best time!) 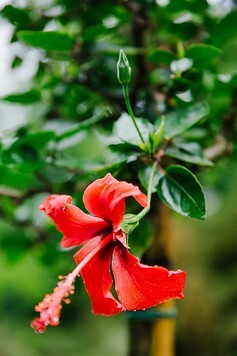 almost everything will be in bloom: azaleas, rhododendrons, camellias, lemons, magnolias and more. With the shimmering lake in the background, it’s a very charming experience to walk through. Unfortunately on the day we visited, it down poured but hopefully the photos still give you a good sense of how lush everything is! We spent about an hour walking through the gardens. There are a series of curved pathways you can follow, which will take you around the different landscapes. 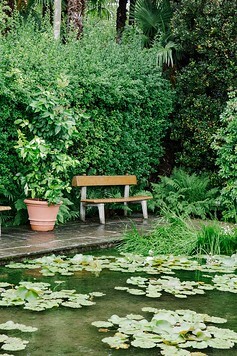 You’ll find Japanese maples and little bridges, low mossy valleys, some Versailles-like fountains, a leafy magnolia forest and the crowning glory: terraced flower beds. There are over 16 hectares of park here! 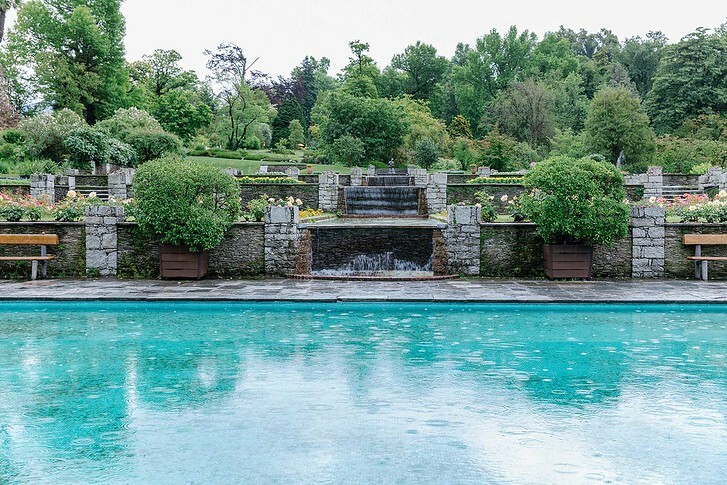 Villa Taranto was created by Scotsman Neil McEacharn, an avid botanist who not only transported rare species to Lake Maggiore but was happy to spread the green wealth. Apparently McEacharn was something of a global figure in the horticulture world and in 1959 alone, shipped nearly 11,500 packets of seeds to over 40 different countries to help other gardens across the world. Talk about a nice guy! 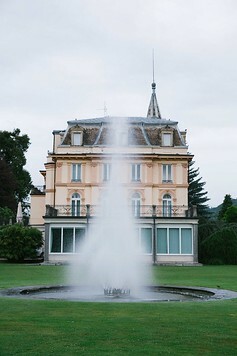 Villa Taranto is located in Lake Maggiore, across from the town of Stresa. You can easily drive over on the way from Milan, or if you’re already in the Italian Lakes area, hop on the public ferry. Double check that the ferry you’re taking will stop at Villa Taranto since not all make the stop; it’s two stops past Isola Madre! 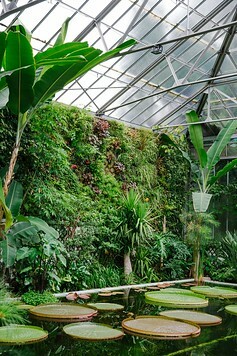 Visiting the Botanical Gardens cost ~10 euros and is available from mid March to October. The gardens are closed in the off season, from November to mid March. We visited in Spring. 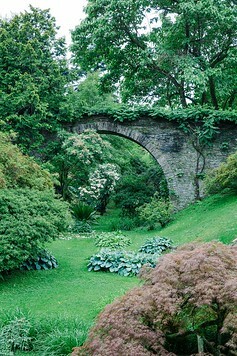 Are you a garden lover? Let me know in the comments what other places in Italy you recommend! Don’t forget to read all our other articles on the Italian Lakes below!